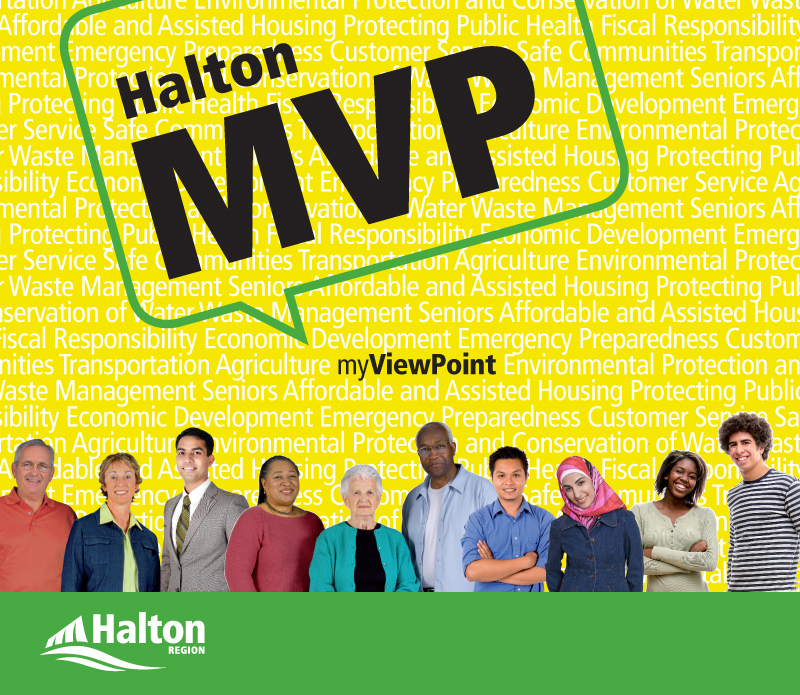 Join Halton MVP today and have your ViewPoint heard! In 2010, the response was overwhelming when residents were invited to participate in an innovative Citizens’ Reference Panel and provide input to inform the development of Halton Region’s 2011-2014 Citizens’ Priorities Action Plan. Now, Halton Region is launching another innovative and flexible opportunity for residents to provide Halton Regional Council and staff with important information about satisfaction levels, needs, policies and priorities. Halton MVP (My ViewPoint) is an online citizen survey panel that will ask participants to provide their viewpoint on a variety of Regional issues and initiatives including waste management, service optimization, housing, emergency preparedness and more. The Halton MVP survey panel will be managed and administered by Jane Armstrong Research Associates on behalf of Halton Region through a secure website. Individual views will remain anonymous and data will always be analyzed – and presented to Halton Region – in the aggregate. Two-way communication between the Region and its residents is important and that is why I would like to take a moment to encourage you (and your friends and neighbours) to join Halton’s new survey panel. Registration is open to all residents of Halton Region, 18 years of age or older. Members of Halton MVP will receive approximately eight surveys per year. As part of the program, Halton Region will also make summary survey results available online. For more information about Halton MVP, or to sign up, visit www.halton.ca/MVP.